Perennial Cycle is a great group of people who believe in the power of bikes and trikes to change the way we live and interact with each other, our urban spaces and the spaces between. The bicycles and accessories we sell are designed to help you and your family be confident riders, whether you're touring Nepal or cruising down the block for a pint of ice cream. We've been selling, repairing and renting bicycles in Uptown Minneapolis since 1992 just blocks from the trails of Bde Maka Ska and Lake Harriet. In 2016, we made the leap to re-brand with the name we carry today: Perennial Cycle. All are welcome here. Read on for more about our name change below. 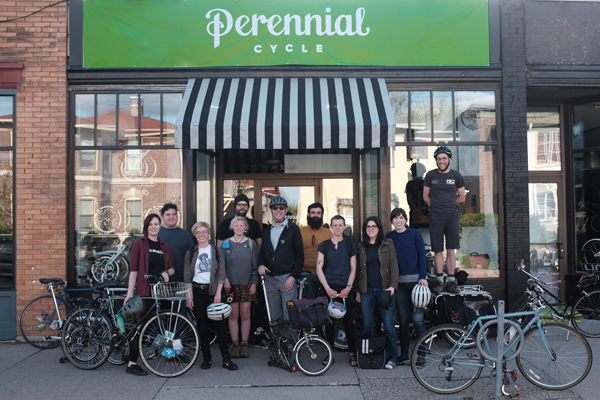 Perennial Cycle is an independent bike shop in Uptown Minneapolis, formerly known as Calhoun Cycle. The name Calhoun Cycle was inherited decades ago when it originated as Calhoun Cycle Cellar, a modest bike rental shop with a cigar box for a cash register (literally). To our cycling commuter customers we love so dearly, the brand behind the name "Calhoun Cycle" has come to represent our goals for the bicycle as a pragmatic and sustainable means of alternative daily transportation. Given these goals, we have found the ethics of our business at odds with the unethical history of the Calhoun name. We can no longer turn a blind eye to the history and heritage of Mr. John C. Calhoun, and feel an undeniable need to separate ourselves from that history. The name Calhoun represents a shameful past of institutional racism perceived as a “positive good”, and the misguided cultural colonialism of renaming a lake after an undeserving man. 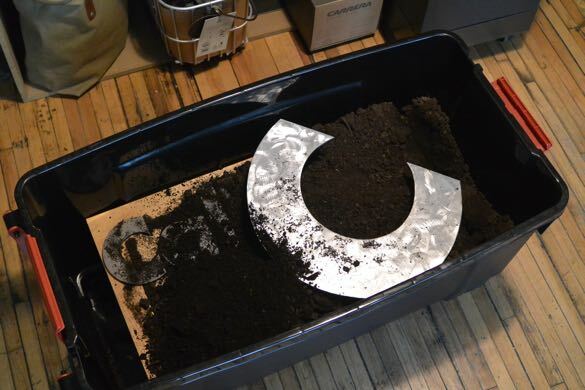 We cannot go back and change our past, but we can learn from it and from our mistakes, and attempt to right our wrongs.Therefore, we consciously removed Calhoun from our company name and chose the new name Perennial Cycle to best represent our values and our future. When something is perennial it is enduring, it is sustainable and it lives in an unending cycle. Perennial is the flora that surrounds us, which we depend on for our own sustainable existence. And like the tulips, crocuses, and basque flowers pushing their way up through the snow, nothing gives us more pleasure in the Minnesota springtime than to also see our robust perennial cycling community bloom to life once again. We thank you all for your support over the years we’ve spent together, and for supporting us in our strategic decision to bury the Calhoun name and begin again as Perennial Cycle. Do you rent bikes for day use? The only bikes that we have available for rental are Bromptons from our demo fleet. A Brompton is a small-wheeled folding bike that's built for urban riding. Bromptons are user-friendly and comfortable, but they're quite different from your standard city cruiser. If we've piqued your interest, you can check out the Brompton section of our website for more information about the bikes, and our Service & Rental page for rental rates and availability. If you're in the market for something more familiar, check out Minneapolis's bike share program, Nice Ride, here. Can I take a bike for a test ride? Do I need to make an appointment? You can absolutely take a bike for a test ride! We know test riding is the absolute best way to match you with the perfect bike. There is no need to make an appointment, but we'll hang onto your ID while you're out and about. If you have a specific bike in mind you may want to call ahead to make sure we have it in stock. The residential area behind the shop is a great place to take a new bike for a spin. We're also located just a couple blocks from a lake, which has a lovely bike trail around it. Can I return an item I purchased on your website? We take returns on everything except bikes, trikes, and special order items. Returns by mail require advance authorization, and we cannot refund shipping costs. See our return policy for more information. We do not. We fully understand the desire to save a couple bucks, but our products are priced the way they are so we can stay open, pay our employees, and continue to take care of neighborhood folks and their bikes for many years to come. Yes! We sometimes have sales on demo models, and occasionally on new bikes. Call or stop by for more information. If I buy a bike here, will you give me any special deals on service? If you purchase a bike with us, we'll provide you with two free tune-ups: one this year and one next year. A tune-up covers all your basic maintenance - lubrication and adjustment of all small parts, wheel truing, light cleaning, etc. Consumables (i.e. tubes, brake pads) and major issues resulting from neglect or misuse are not covered. That said, if you just bought a bike from us and you're experiencing an issue, please bring it in so we can help! We want you to ride and love your new bike, and things like weirdo noises and chronic flats might keep you from doing so. I bought something here and I think it's defective. Will you give me a new one? It depends! We are happy to negotiate with the manufacturer on your behalf regarding any and all warranty issues that come up, but the way the issue gets resolved is entirely up to the manufacturer. We always have to contact the manufacturer with photos of the issue before we do anything else. Sometimes we need to mail an item in for repair or replacement. We're almost never able to simply swap your item out for a new one right then and there, but we'll do everything we can to make sure you're taken care of. Is my information safe if I make a purchase through your site? Except for where our dealer agreements do not allow it, we are able to ship most items internationally. For logistical reasons, full-sized bikes and trikes are out of the question. Contact us for more specific international shipping queries. Do you buy or sell used bikes? Occasionally. While it's not a very big facet of our business, we sometimes buy, tune, and re-sell used folding bikes and recumbents only. We are selective about what we take, and of course, you'll get more money for your bike if you sell it on Craigslist. Is there a discount for floor models? Is there a discount for accessories purchased with a bike? We do not distinguish between floor models and new stock, therefore we do not discount the bikes that are sitting on the show floor. For every bike purchased in our Minneapolis store, we offer a 10% discount on any accessories for that bike as well as free installation of items like racks, fenders, and bells. This 10% discount and complimentary installation is valid until the bike leaves the store.